It is quite difficult to sell a derelict land or property which had once been developed but then remained abandoned for years and suffering many structure damages in seclusion. 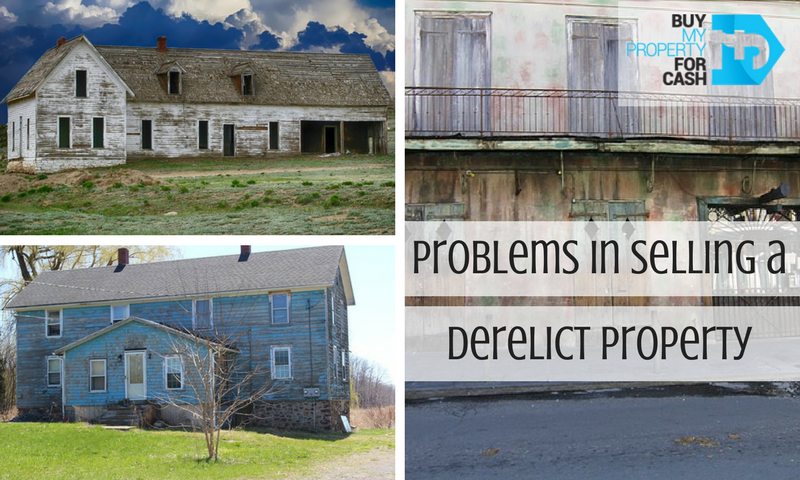 Complete maintenance of these abandoned properties is required before selling, and refurbishing to score an adequate price is an expensive affair. People hardly gain any profit even after allowing exorbitant property developers in the UK to repair and develop such unkempt properties. Property seller actually reduces its profit margin after spending a hefty amount on a long neglected property and misspend months on looking for a prospective buyer who has an irresolute intention of buying the derelict property. Furthermore, a substantial agent commission for selling this difficult property is imposed on the seller. Consequently, after spending a lot of money on property redevelopment and refurbishment, finding an interested buyer who can pay a decent price for the property becomes the crux of the matter. Abandoned properties can cause serious issues to the owners and affect the neighbours, community and commerce of the area. Empty properties can easily become the ground of anti-social elements that draw and generate crimes. Such properties provide cover and concealment opportunities to criminals and motivate illegal activities in the area. This also affects the surrounding of the abandoned property and neighbourhood tends to dwindle fast which is again a reason behind the colossal dip in the property prices of the locality. Moreover, commercial properties in the area also lost their businesses as a result of decreasing footfall. Fewer buyers mean lesser trade! Selling is the best option! Rather spending thousands of sterling pounds on renovating or redeveloping a derelict land or property and consuming months or maybe years in searching for the right buyer, selling the abandoned property to any quick house buying company in the UK against cash is the key to getting rid of all the hassles involved in selling a derelict property. Quick house buyers purchase your property instantly after a quick property evaluation and conduct a simple process to provide on-spot cash offer. However, finding a reliable quick house buying company in the UK is like threading the eye of the needle. Why Quick House Buying Company? These cash house buyers are associated with many individual buyers, landlords, property builders and estate developers. They proffer services to sell your house fast against cash and help you to attain urgent cash during emergencies and situations. During the scenarios when their associates seem uninterested in your property, these companies help you to sell your property immediately against cash. How to Choose a Reliable Quick House Buyer? Many agencies available on the internet claim to offer the maximum cash for the property but many of them have hidden commissions and they even evaluate the properties at much lesser price than their legitimate market value. Doing a thorough online research to find a trustworthy fast house buying agency in the UK is essential before asking anyone to come to your place and undervalue your property and demoralize your confidence. Find top-rated cash house buyers available on the internet and call their executives to discuss your requirements. A licit quick house buying company will come to your derelict property and perform a free property evaluation to render you with an instant cash offer. Once you accept the offer, they dispense you with cash against the property.So, to sell your property quickly against cash is not a tough row to hoe. All you need is a reliable and experienced quick house buying company in the UK.